Been meaning for a while to post something here about my recently-started PokerStars Home Game tourney series, as well as to invite anyone who’d like to play to join up. This Sunday (August 12) I’m scheduling two more tourneys, starting at 20:00 ET and 21:00 ET. The first will be a pot-limit Omaha high/low tournament (with five-minute levels) and the second a no-limit hold’em tourney (with three-minute levels). The tourneys are free to enter, just costing play chips. 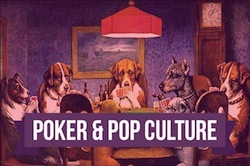 If you haven’t already, you’ll need to join my “Hard-Boiled Poker” Home Game in order to play in the tournaments. The Club ID is 530631 and invitation code noshinola. Once you put in your request to join I have to accept it, then you’ll be able to play. I’ll be off and on the grid this weekend, but don’t worry -- I’ll get in there and accept your request well before the tourneys begin Sunday night. Those who are already in the HBP HG can go ahead and register for one or both tourneys. You’ll see I’m designating these events “Season 1.” I’m kind of doing a test run of sorts for a tournament series. It started a couple of weeks ago, and will last through the end of September. With two events scheduled every Sunday night, that means there will be 20 events in all for this first season. 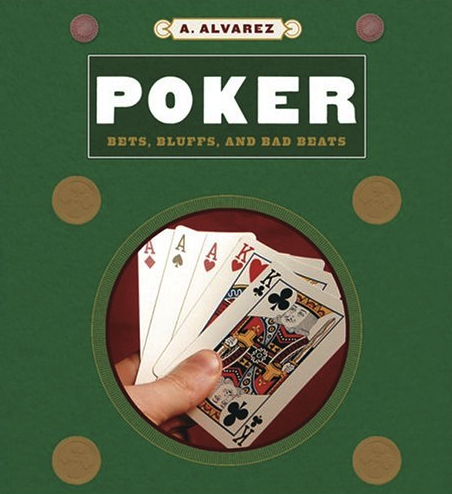 To make the whole idea of playing for play chips a little more interesting, I’ve decided to award a prize to the winner of this inaugural HBP Home Game season, a copy of Poker: Bets, Bluffs and Bad Beats by Al Alvarez. This is Alvarez’s lesser known poker book, with his 1983 The Biggest Game in Town (about the 1981 WSOP) being his most famous. It’s a cool “coffee table”-type book with great essays by Alvarez and a ton of cool photos. 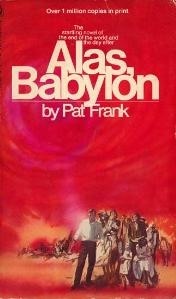 As I say, I’ll be shipping a copy to the player coming out on top in this first series. Gambit 727 has jumped out to an early lead through the first four events, with Psx120 next and FullHouse538 in third. Don’t fret, though, if you haven’t played in any events yet... take down just one tourney and you’ll grab enough points to challenge for the lead. We’re using the points system devised by the PS Home Games which I haven’t studied too closely but seems fair enough. Each tournament is assigned a point per player; for example, if 15 people play, the tourney awards 15 points total. Those finishing in the top third of the field divide up the points, with the winner getting the most points, second next most, and so on. Each week I plan to create one non-NLHE event and one NLHE one. Over on the right-hand column you will see the upcoming games listed, and I will probably eventually add a leaderboard over there as well. I may also post something here every once in a while about the games, too, especially once we get near the end of Season 1. So far we’ve played PLO and H.O.R.S.E. along with a couple of NLHE events. Feel free to leave comments here with suggestions about games to spread and/or other ideas for the HBP tourney series (either for this one or future ones).